BuildIT was founded in August 2000. 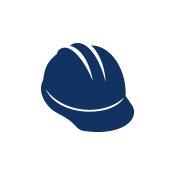 BuildIT was founded by a group of contractors with a broad range of construction and business experience. that systems are the ONLY way to better manage, organize, schedule, and communicate. So, they decided to "put their money where their mouth is" and do something to help solve some of the problems faced by contractors and the people that work with them — including sub contractors, clients, and suppliers. Our people and minds are located wherever they want to live — throughout North America. Why? Because with the Internet and modern phone systems it really doesn't make any difference where people live - and everyone has gotta live somewhere. Our servers and equipment are located in Vancouver, BC. Why? Because it's a world-class facility located in a world class city AND Canada has very strong privacy laws that protect the security and privacy of your information, no matter where you live.